Enter to win a pair of run of engagement passes to see "The Curse of La Llorona" in theaters. 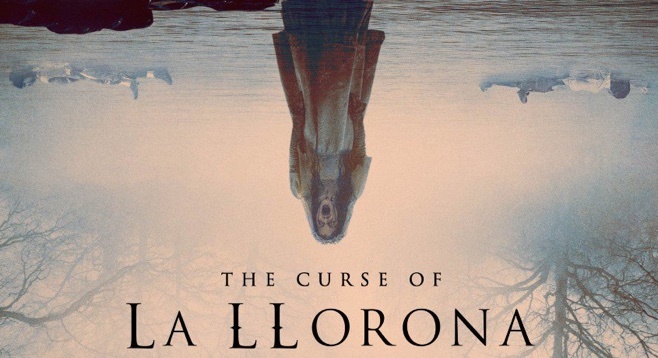 For more information on "The Curse of La Llorona" click here. Deadline for submission: Tuesday, April 23 at 1PM. Limit one entry per person or you will be disqualified. Reader employees and their families are not eligible. Winner will win a pair of movie passes to see "The Curse of La Llarona". Receiving a pass does not guarantee you a seat. Seating is first come, first served and not guaranteed. Winner will be notified by email. Additional restrictions may apply. See passes for more terms and conditions.